Media Size: 7.50" x 9.75"
Composition book contains 50 sheets of unruled paper. Design features center sewn and tape binding. Hard cover is a rigid with a marble design. 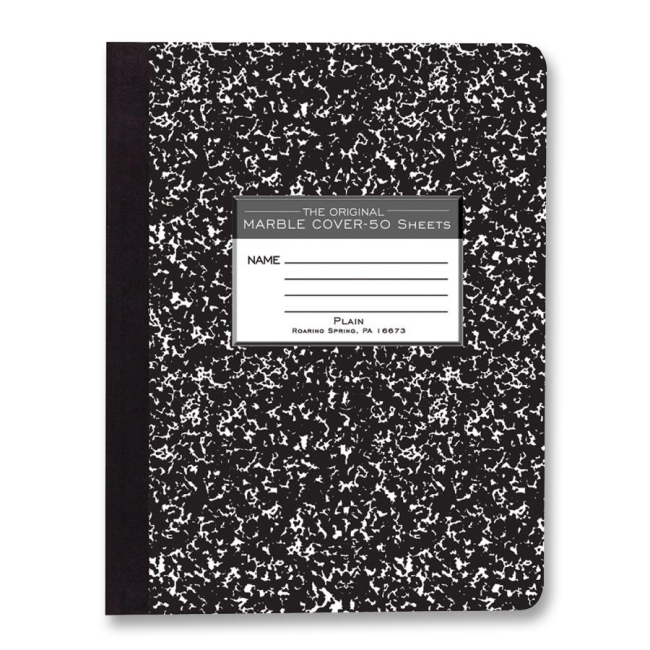 $8Rediform Blueline Composition Book - 7.25" x 9.25"
$9Rediform Blueline Ruled Composition Book - 7.25" x 9.25"
$4Sparco Spiral Composition Books - Letter 8.50" x 11"